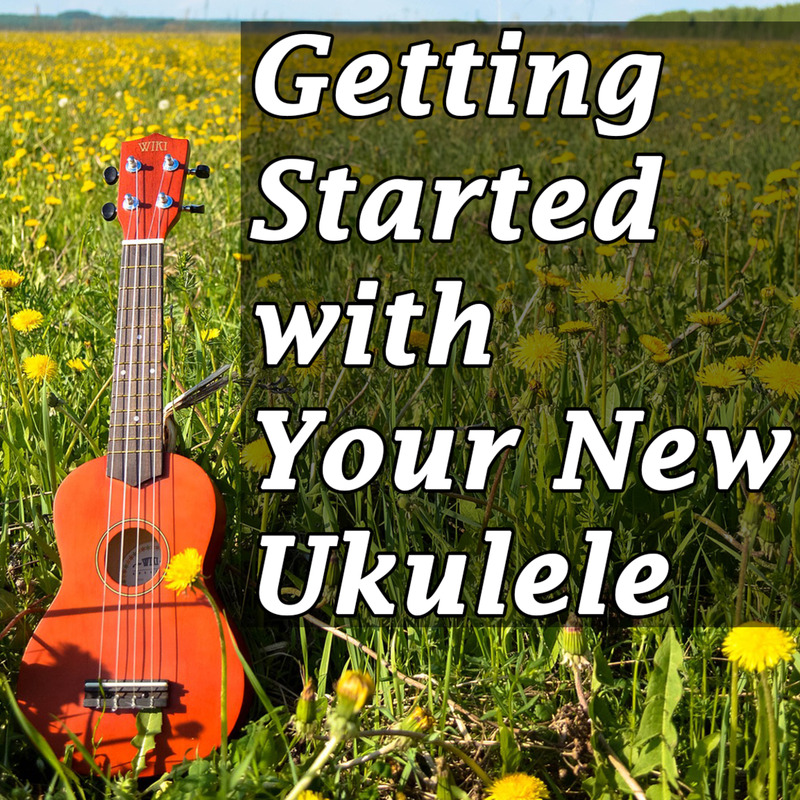 Guitarists who have picked up the ukulele have told me that they love how much easier barre chords are on the uke, and they're right about that. But let's say this is your first time playing an instrument with strings and frets. You may have never seen a barre chord, let alone played one. For months I tried to play them by putting a single finger on each string because it didn't click with me that I was supposed to lay my entire finger over the first fret where the little dots showed up on chord charts and let the other fingers fall in place below it. I thought these chords were meant to be played by grey aliens from Nibiru with ridiculously long and spindly fingers. Thankfully, barre chords don't require anything out of the norm for human anatomy, but they do require some extensive finger strength training. Guitarists have built up some killer muscles in their wrists and fingers from shaping these notoriously difficult chords on a much wider neckboard. Going from that to the ukulele's four strings and thinner neck probably feels like a dream compared to trying to learn guitar second. If you're used to playing nonstringed instrument---or no instrument at all---the little muscle between your thumb and index finger is probably going to hate you the second you try your hand (hah!) at a song that isn't in the key of C.
The only way to do that is to strengthen the muscles you need to hold those strings down firmly, but you won't have any fun just making chord shapes over and over. 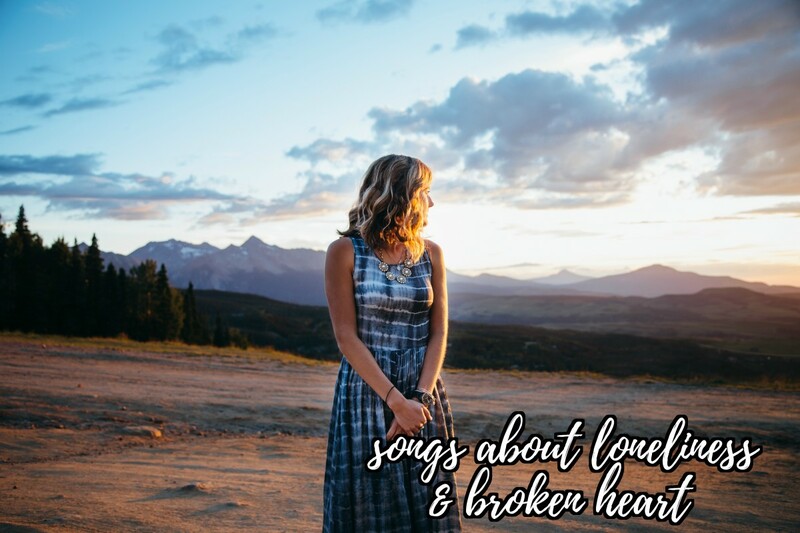 The best way to learn is to jump right into some songs, and if you've already got the basics down these songs are just what you need to take the next step. I adore this song's chord progression. It even manages to sound jazzy on the ukulele, but that's no surprise coming from Amy Winehouse--she could have pumped a melodic full of smokey blues. You'll feel the muscles in your forearm, wrist, and thumb from all the chord changes. Your barre muscles only get a break for the four beats on the A chord. If you're at least as old (or young) as a mellinial, chances are Christofer Drew and Nevershoutnever served as your introduction to the ukulele in mainstream pop music. 'Trouble' is a useful song to practice because it makes use of at least one barre chord and E flat, a chord that's a bit of a finger stretch for those with small hands but still simple to play. The main strumming pattern consists of single downstrokes, giving you plenty of time to switch between chords. You can also keep it simple when you break into the chorus, as the tried and true 'island strum' (D-DU-UDU) works just fine. This soft and mellow pop song notoriously easy to play on the piano. 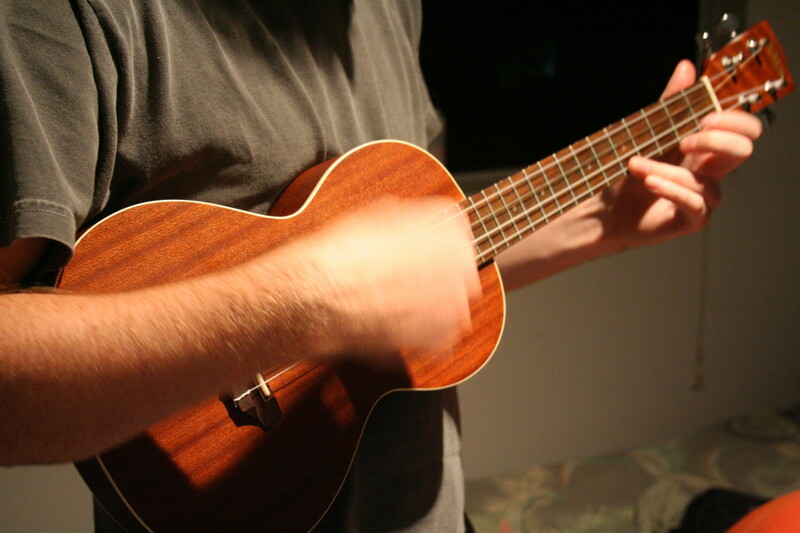 Things are a bit more difficult on the ukulele with the introduction of F#, a full barre chord. If you've been practicing with B and Bb it shouldn't be that big of a leap. 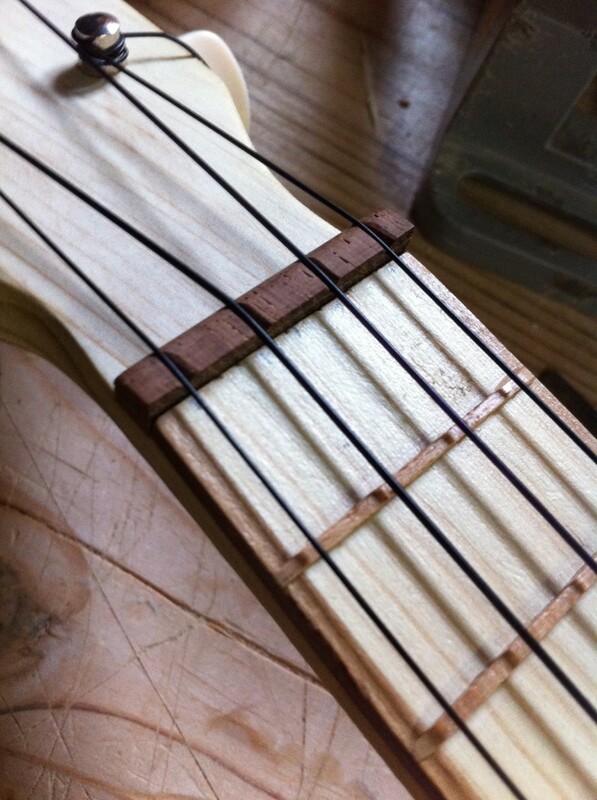 You'll need to practice a bit before you can get all the strings to ring out, but once you've gotten that far other movable chord shapes will fall into place much faster. The strumming pattern I like to use for this one is all single downstrokes, a perfect strumming pattern for learning new chords that might be difficult to switch between at first. It's not very well known, but Ian Axel first performed 'Say Something' on the ukulele and even posted a tutorial for how to play the song, though it's in a different key than the version with Christinia Agulera. Chords on Ultimate Guitar. 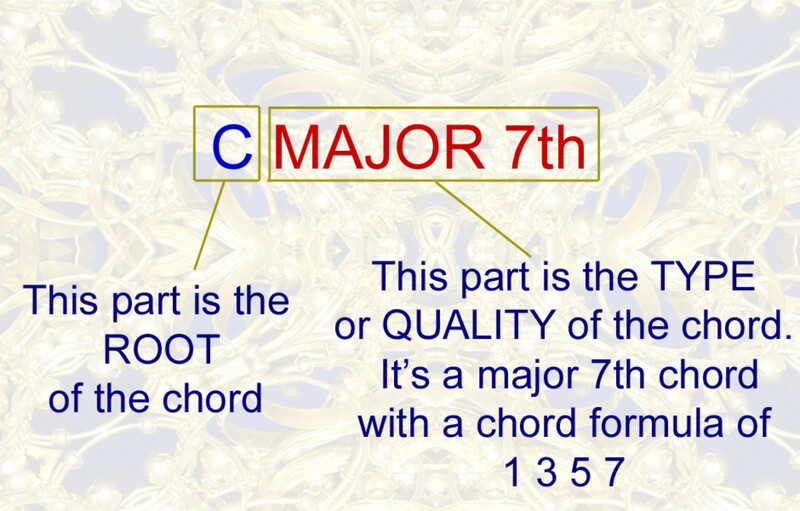 Note: The chord listed as Dmaj7/F# can just be played as regular F#. The one barre chord in Coldplay's alt-rock hit 'Viva la Vida' comes only once during the hook in the last line of the chorus, 'but that was when I ruled the world." The rest of the song follows varying patterns of standard beginner chords Am, C, F, and G, making it a good tune for learning your first barre chord. In my opinion the strumming is the hardest part, seeing as I've never been able to find a pattern that doesn't sound weird to me. If you want to learn to play Adele songs without using a capo you'll certainly need to master barre chords, because her music is full of them. At least the ukulele chord charts, anyway. Set Fire to the Rain makes use of Bb and a particularly finger stretching open chord like Trouble--in this case, G minor. It's the easiest of all the Adele songs I've played on the uke for someone new to more advanced chords. I'm a huge fan of Lana del Rey and think her songs sound beautiful on the ukulele. American may be even easier than some of the other songs on this list because the Bm follows G major, so you can swing your index finger around from the position of the G chord to make the barre in one swift motion.The nature of the backbeat makes also makes for pretty simple to figure out strumming. Be young, be dope, be proud! I've linked some more resources below that I found especially helpful when getting used to barring chords. Remember that nobody gets these chords right the very first time they try them, and if someone tells you they did they're probably lying. You're gonna at least have trouble making all the strings ring out the first time you even try making a barre chord work. It may be hard, but you'll be able to play almost any song you want once you get the shapes down. I never have tried playing a Ukulele but have some family that do and they are awesome to listen as they play chords and sing. 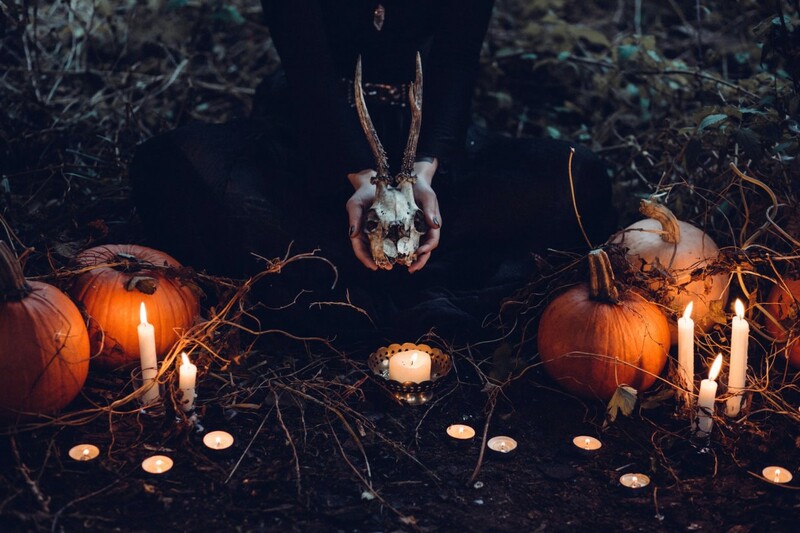 Thanks for sharing this interesting hub.